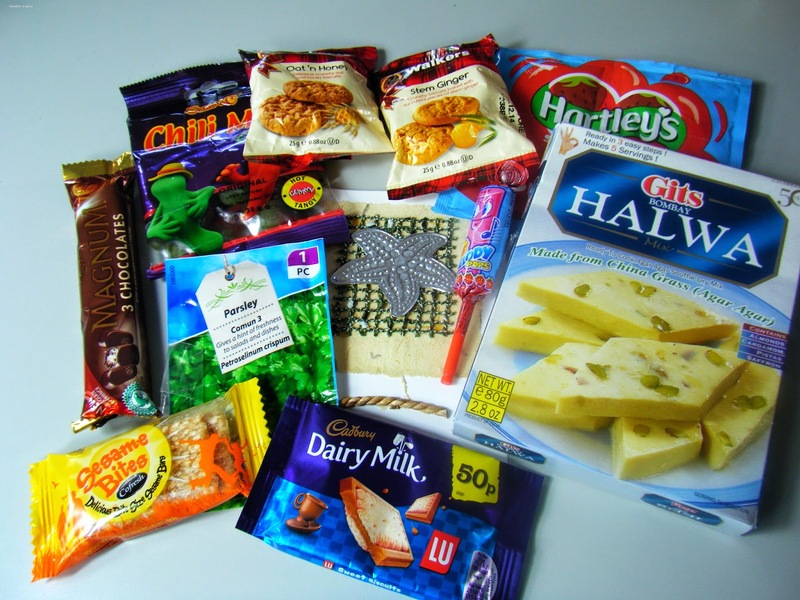 My foodie pen pal box this month is a sweet one from Mary at the polka dot nostalgia. Mary sent a selection of sugary things after I mentioned having a very sweet tooth including some chilli flavoured jelly sweets, I think Trevor will like those. The chocolate and biscuits will go down well over a lazy pot of coffee. Plus, I've got a great summer recipe for tequila sunrise jelly to use with the jelly. I'm most interested in the Halva mix as I've never made this dish before. I'd told Mary that I had recently applied for an allotment so the sweetest part of the box for me is the parsley seeds. 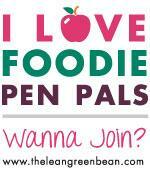 You can join up to foodie pen pals at This Is Rock Salt.